Punjab & Haryana High Court Recruitment 2018 – Apply Online for 19 Stenographer Posts :- High Court of Punjab & Haryana has issued notification for the recruitment of 19 posts of Stenographer in the Subordinate Courts. 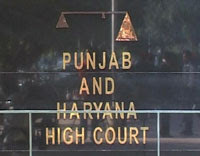 Interested & eligible candidates can apply online through official website of Punjab & Haryana High Court. Online Application Process has started from 02/04/2018 and the last date for submission of online application is 01/05/2018. Age Limit: 18 years to 37 years as on 01/01/2018. Educational Qualification: The applicant should possess a degree of Bachelor of Arts or Bachelor of Science or equivalent thereto from a recognized university. He/she should have passed matriculation examination with Hindi/Punjabi as one of the subject and must have proficiency in operation of computers (Word processing and Spread sheets). Commencement of Online Application : 02/04/2018. Last Date for Registration Step-I : 01/05/2018. Last date for Receipt of Application Fee : 03/05/2018. Last Date for Registration Step II : 04/05/2018. How to Apply: Interested & Eligible Candidates can apply online through http://www.sssc.gov.in from 02nd April 2018 to 01st May 2018. Subscribe our Free Job Alert Mail Service for Punjab & Haryana High Court Recruitment 2018.